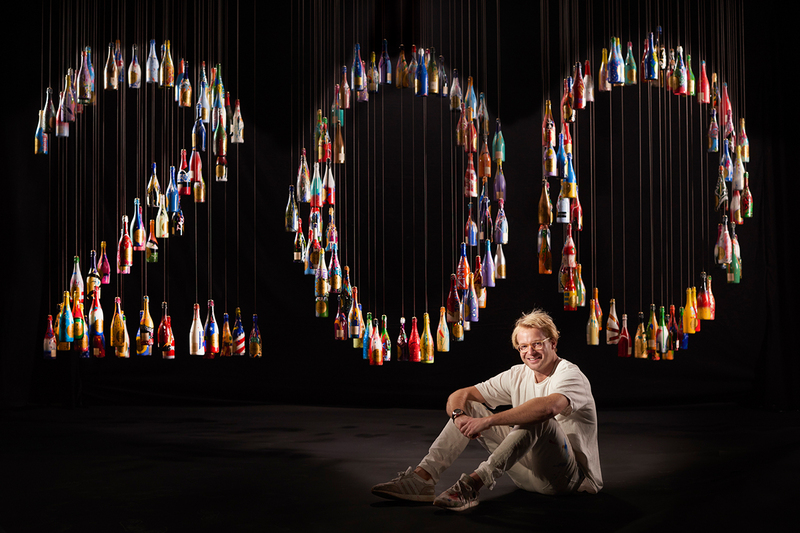 UK artist Alex Hall let his creativity flow with hundreds of bottles representing every milestone location. 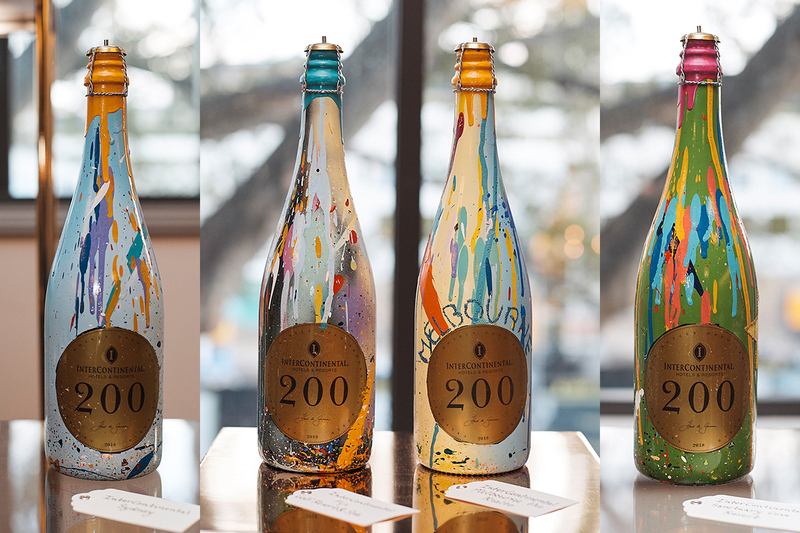 Spraying streams of paint across hundreds of Champagne bottles may seem like a creative genius’s best dream, but for Alexander Hall it’s his signature trademark. 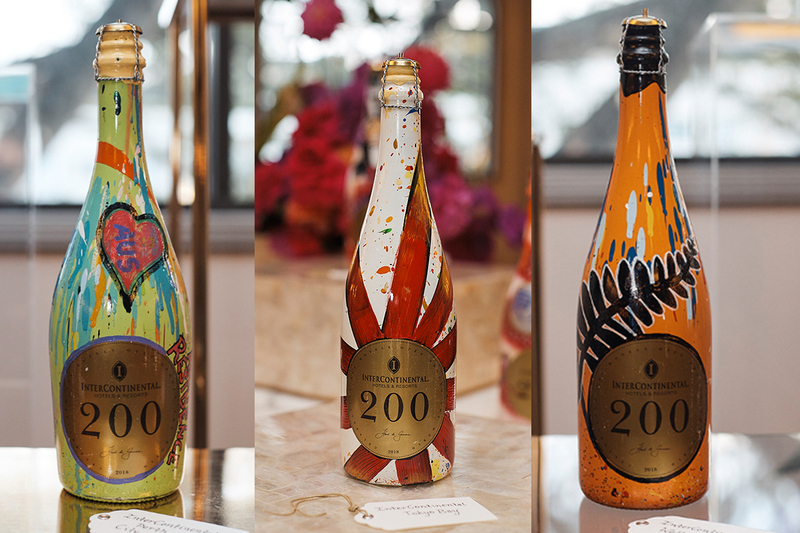 In an exquisite collaboration, the UK artist partnered with InterContinental to celebrate the opening of its 200th luxury hotel worldwide by hand-painting 200 Champagne bottles to represent every hotel. 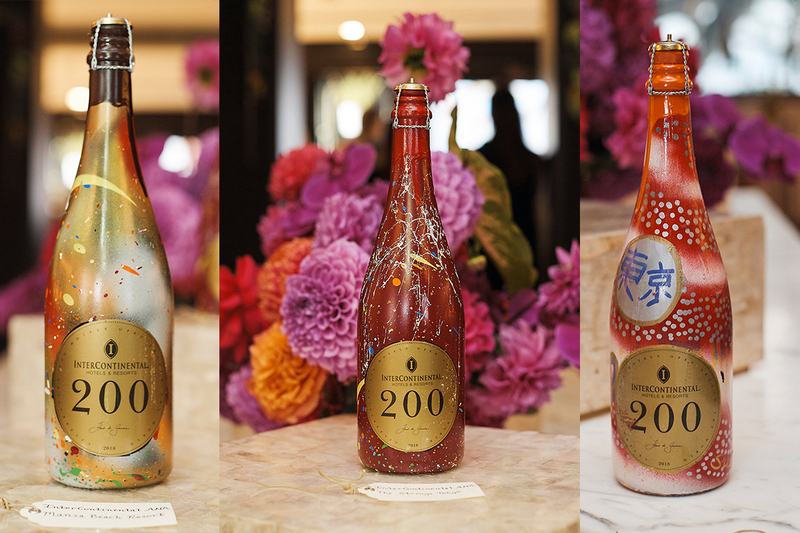 The individual bottles can be suspended together in an intricate oeuvre revealing the number 200 – an installation displayed at a number of InterContinental hotels around the world for a limited time. 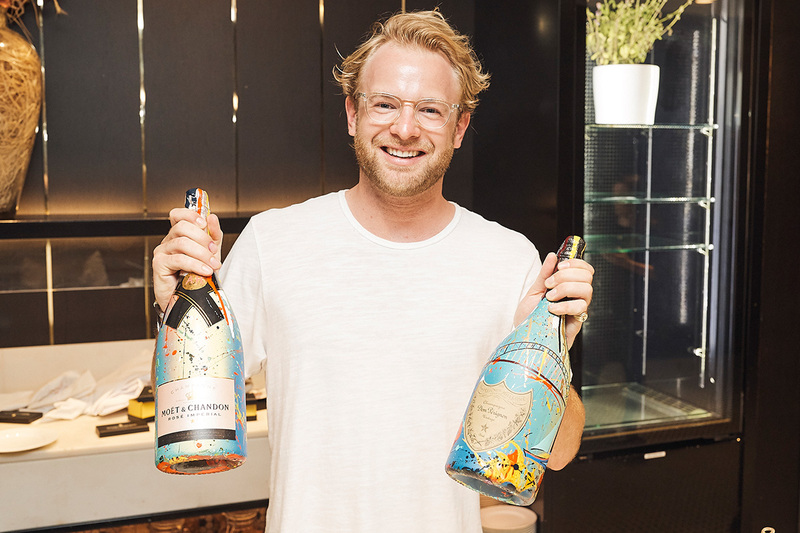 At an intimate dinner party hosted by InterContinental Sydney Double Bay, The CEO Magazine sat down with Hall (who goes by the moniker Haut de Gamme) to toast the energetic artwork. 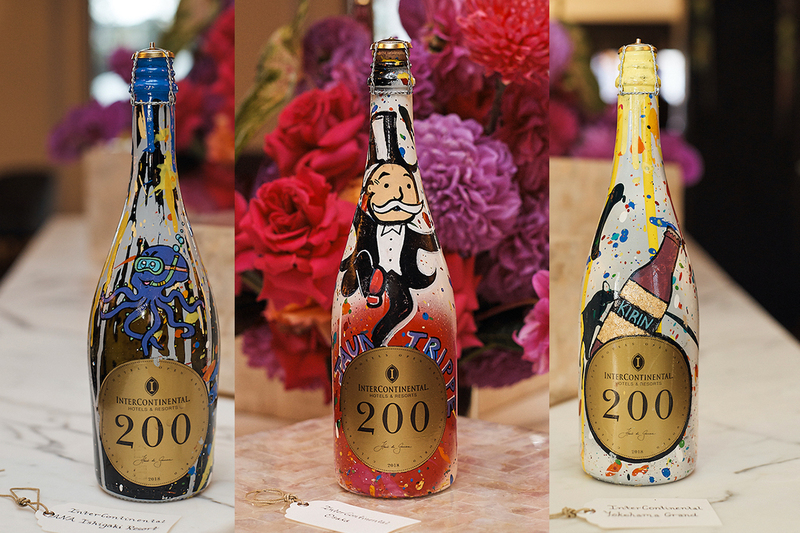 Alexander Hall, who goes by the moniker Haut de Gamme, painted 200 champagne bottles to celebrate 200 Intercontinental hotels. What better way to honour the incredible milestone than with a celebratory, albeit messy, Formula 1-style Champagne spray by none other than the artist himself. At an intimate dinner at InterContinental Double Bay, Sydney, guests including MC Edwina Bartholomew got creative painting Champagne macarons. 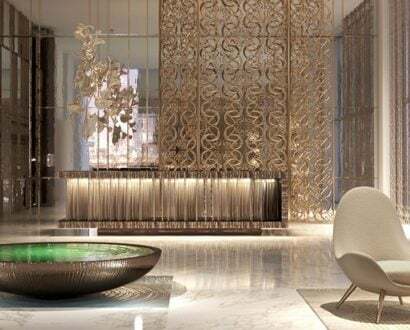 “I was commissioned to design an installation to celebrate InterContinental’s 200th hotel,” Hall told The CEO Magazine. “I looked back at my bottle painting and thought it would be cool to reference each bottle to a hotel, as if the bottle was the hotel. After breaking down all the little things each hotel is known for, and working out the logistics of how to hang the art, Hall had six days to create a masterpiece that would then travel the world. “I didn’t sleep – I lived on a sugar rush,” he says. 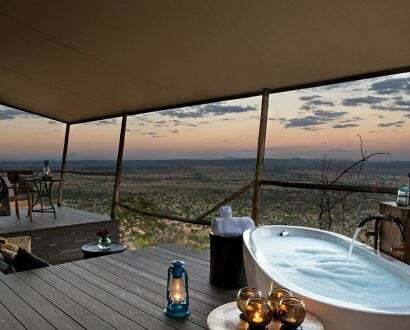 “I laid every single bottle out on top of a board, like toy soldiers in massive rows, and just got the colour down. 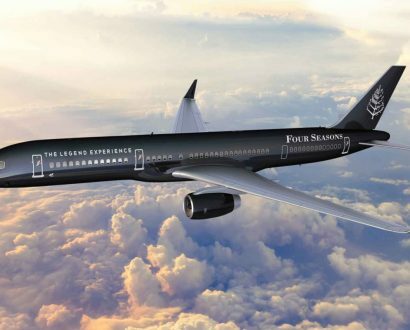 From Rich Uncle Pennybags (the mascot of board game Monopoly, which had a limited edition based on the Osaka Loop Line) on InterContinental Osaka’s bottle to New Zealand’s iconic silver fern on InterContinental Wellington’s, the hotels were represented with many meaningful touches. 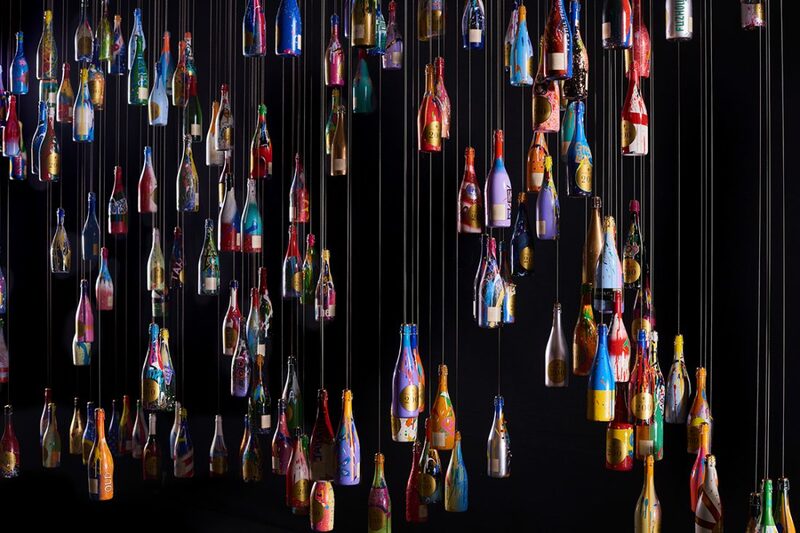 The individual Champagne bottles can be suspended together in an intricate oeuvre revealing the number 200 – an installation displayed at a number of InterContinental hotels around the world for a limited time. While the installation was not on show at Double Bay, 15 bottles were displayed during the evening – all beautifully complementing the gold stands, marble tables and bouquets of vibrant red roses. As guests enjoyed the freshwater marron with sturgeon caviar, rose onion, celeriac and refrito; Highlands spatchcock confit leg; Saffron thyme potato, corn custard and sea asparagus; La Luna Holy Goat cheese, muscatel, fig, dried pears and myrtle almonds; and Valrhona fraise, tarragon gel, mascarpone, sherbet and strawberry pearls, Sunrise presenter Edwina Bartholomew sat down with Hall for an open Q&A. Following the honest couch chat, guests were given a rare glimpse into Hall’s creative process. Dozens of Champagne macarons, colourful pots of coconut oil and brushes covered a marble bench ready to be splattered with imagination. 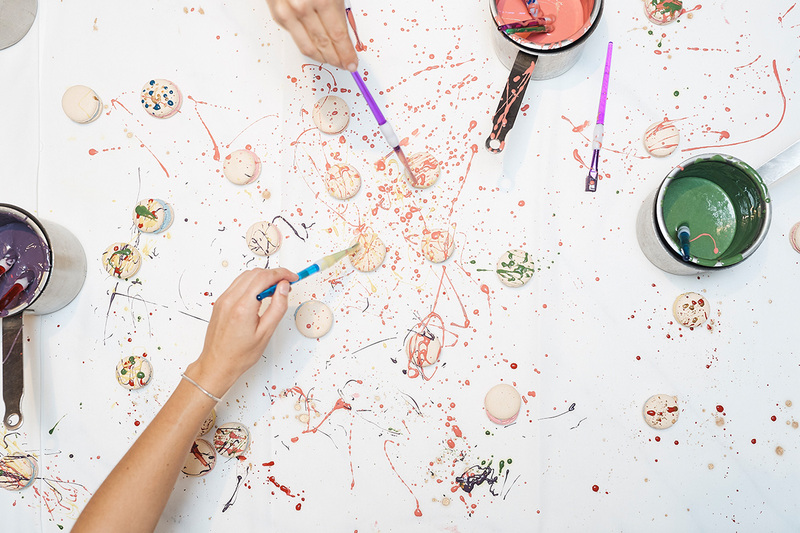 The edible art-dessert was a cheeky insight into Hall’s artistic methods – the more mess, the better. 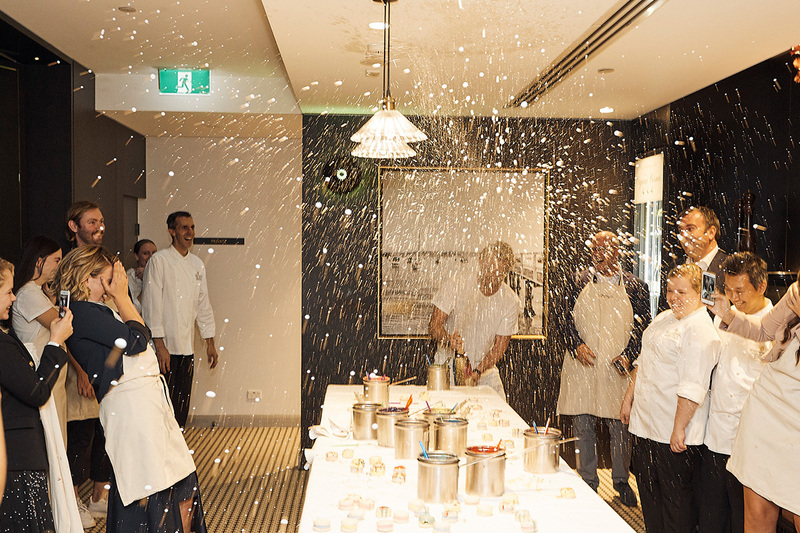 And what better way to honour the incredible milestone than with a celebratory, albeit messy, Formula 1-style Champagne spray by none other than the artist himself?